For years, most of us have been using Excel for data analysis and are now ready to take advantage of the live visual analytics offered by Tableau. Tableau is well worth learning whether it’s for the ability to explore data and get insights quickly, for its automation functionality, for its sharing and collaboration capability, or for one of the myriad of other benefits. Once you’ve used Tableau, you never go back! As a certified Tableau professional, I learned Tableau years ago. For those now learning Tableau, I thought it would be helpful to share 5 things I wish I knew when I first started using Tableau. So here they are. Commonly used formulas like ABS(), MAX(), SUM() and LEFT() work in Tableau. According to Unilytics internal research, 30% of Tableau formulas have an exact match in Excel. And many others are quite close. For example, in Excel we would write IF([Cost]>=100, “Expensive”, “Affordable”). In Tableau it’s just slightly different: IF [Cost]>=100 then “Expensive” ELSE “Affordable” END, or if you only have a single if/then, IIF([Cost]>100, “Expensive, “Affordable”). Many other formulas in Tableau match the structure of SQL, which is used in Microsoft Access and database programs like SQL Server, Oracle and MySQL. The only formulas truly unique to Tableau are the Table Calculation and Level of Detail functions. To learn more, download Tableau – Excel Equivalence Table for a summary of every formula in Tableau and the Excel equivalent. The beauty of Excel – and the biggest problem with Excel data – is that you can type anything anywhere. Even if you’ve placed 1000 numbers into a column, the next entry could be a date, or a piece of text, or a location. Not so in Tableau. A column needs to have a type; it’s either a piece of text, a number, a date (or date + time), or a true/false. While this may seem like a limitation, it allows Tableau to generate world-class visuals because of this structure. Knowing the type of each field allows Tableau to understand what is possible given the data you have supplied in the view: how it can be filtered, sorted and visualized. To learn more, click here for an explanation of how “Show me” uses data types to generate visualizations from your source data. 3. Tableau tries to impose best practices onto visuals and design. Excel has no problem placing 200 different colors onto a scatterplot or a bar chart. But try this in Tableau and you will receive a warning, suggesting that you never put more than 20 different colors on a view. Similar guidelines exist for shapes and even the number of rows (do you really want to make a table with 20,000 rows? Tableau will let you of course, but it asks first). To learn more, Unilytics provides a 2-day on-site training course in Visual Best Practices or download Tableau’s 41-page white paper on “Visual Best Practices”. 4. Many visuals are possible in Tableau, even if they don’t appear as a default option. When people see “Show Me” in Tableau, they are often surprised – there are only 27 visualizations in Tableau? 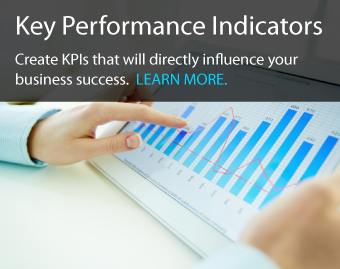 What about a radar chart? A waterfall diagram? A bump chart? Rest assured, all of these are possible in Tableau – it’s just a matter of working with the existing visuals and bending them a bit. For example, a bump chart shows the change in rank over time. If we set up a timeline in “Show Me”, use the RANK() calculation, and reverse the y-axis, we now have a bump chart. 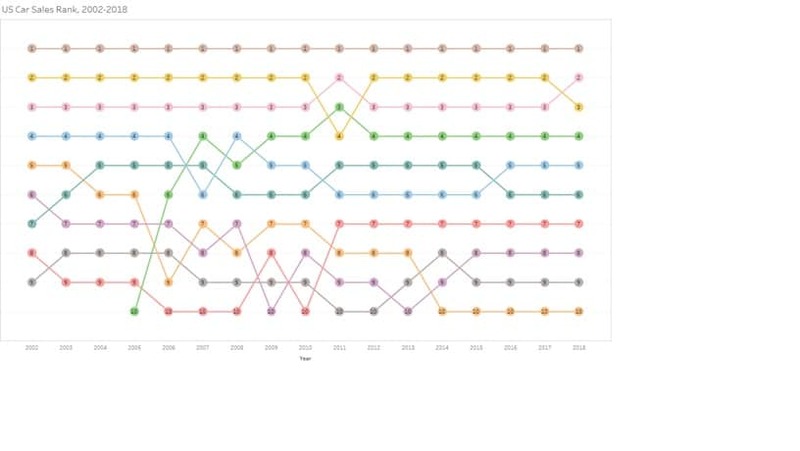 To learn how to make a bump chart in Tableau, download our sample workbook from Tableau Public. 5. Tableau is really several tools in one. a. While it’s not a full Geographic Information System (GIS) program, Tableau allows you to rapidly make interactive maps, and it automatically recognizes many geographies like city names and countries. Learn more about the latest mapping features in Tableau. 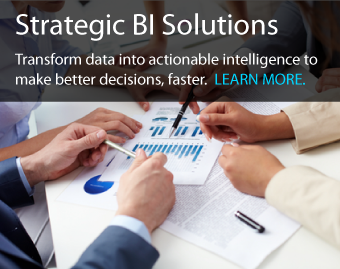 b. It’s also a data management tool allowing you to link your data without resorting to VLOOKUP or INDEX/MATCH formulas to mash tables together. Even when data comes from completely different sources – say matching a spreadsheet to a database file, or a map file with a statistical file – Tableau now supports joining across different databases. c. Tableau is a (light) statistical tool that can provide regression lines, boxplots, percentiles, forecasting, and clustering without any coding required. d. With the exciting recent release of Tableau Prep, Tableau even promises to be an automating and data preparation tool to streamline your workflows. 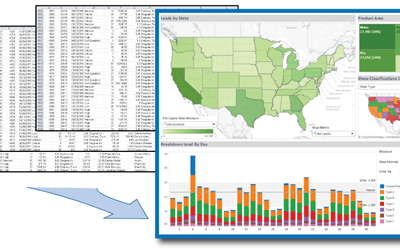 Learn more about Tableau Prep on the Tableau website. If you need help transitioning from Excel to Tableau or any other assistance with Tableau, just ask one of our Tableau Pros. 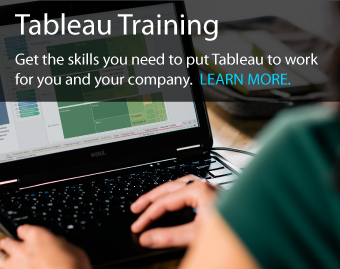 If you’re interested in accelerating your learning, check out our Tableau Essentials Training course. In just 2 days, you’ll learn to connect to data, create basic calculations, build interactive dashboards, share visualizations, and more! Unilytics also offers Tableau Master Training and 2-day seminars on Visual Best Practices that combine Tableau workshops and an exploration of the psychology and cognition behind effective data visualization.